EVGA’s SC17-1070 is a powerful, 4k 17.3-inch notebook that can play any game you have or will get in the next year or so. EVGA introduced its first 17.3-inch, the SC17-980 in March 2016 just after GDC. It offered good performance. Anyone would have been delighted to have one. Then in June of 2016 Nvidia introduced the Pascal line of GPUs, so EVGA finished their second-generation design and in August announced the SC17-1070 17.3-inch notebook with pascal GTX 1070 GPU. This is a machine that any gamer would be proud to have, and just having such a machine brings with it a lot of bragging rights. The performance, craftsmanship, and features are top of the line, and so is the price and weight. The new SC17 uses the same CPU as the first generation, which one might question until they read the reviews of the latest Intel processor—not that much, if at all, better than the last. And the Intel Core i7 6820HK CPU is unlocked and capable of being overclocking to 3.8 GHz and beyond. 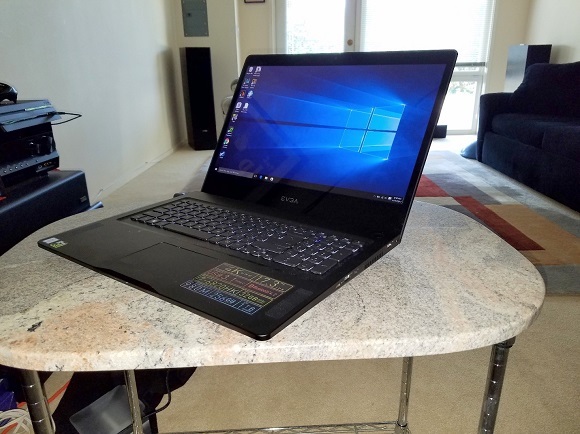 The notebook is rich with features such as USB 3.1 Type C, excellent sound, and a beautiful 4K 17” display, with g-sync. And it can be tweaked with EVGA PrecisionX Mobile to overclock settings, overclock hotkeys, profiles and CPU overclocking. EVGA PrecisionX mobile can even enable/disable laptop backlighting and keyboard lighting. 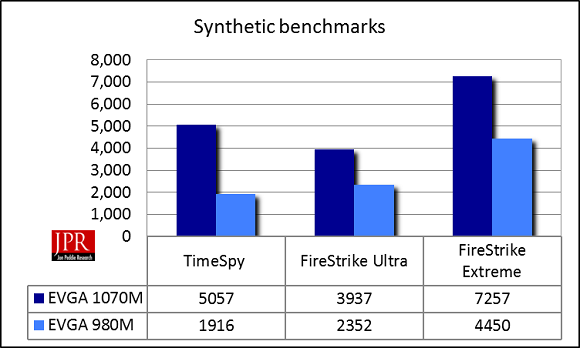 We ran a series of tests on the SC17- 680 and 1070 and the results are shown in the following chart—the results were impressive, an average improvement in performance of 92%. We ran the tests with everything maxed out, but without any overclocking. 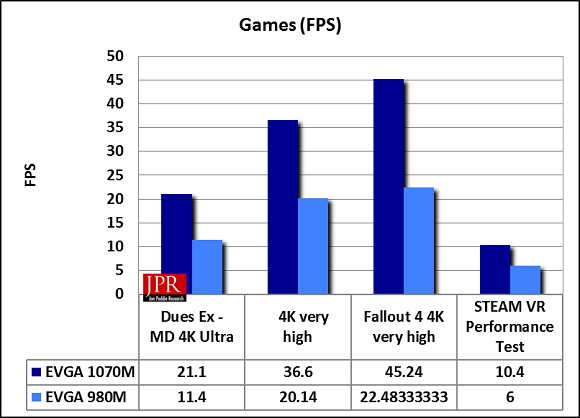 Testing with games produced similar amazing improvements, the average being 85% as shown in the following chart. The price difference between the two systems is only 11%, and for that 11% you’re an average performance improvement of 92%, that sounds like a great deal to us.